"A footing is just like the foot on your leg. It spreads out the weight of the building onto the soil. Bigger is better!" Footing width and depth are very important. A footing spreads out the weight of the entire building onto the soil. It works just like the foot on your leg. 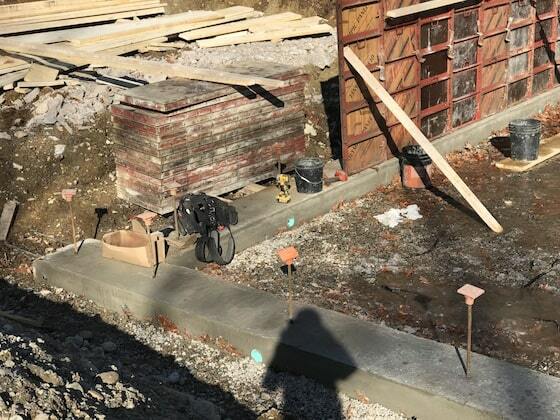 Poured Concrete or Block Foundation on Footing? 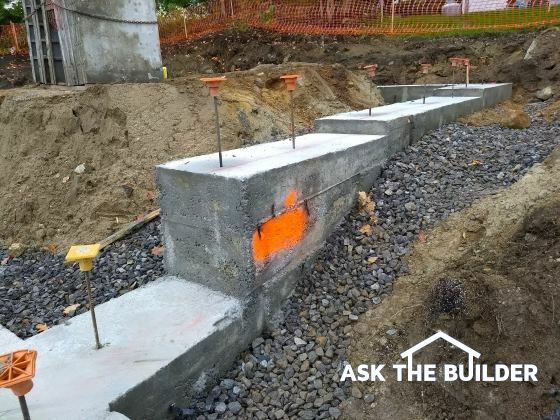 How Wide Should a House Footing Be? A house footing should be no less than 12 inches wide. Twenty inches would be a better width. 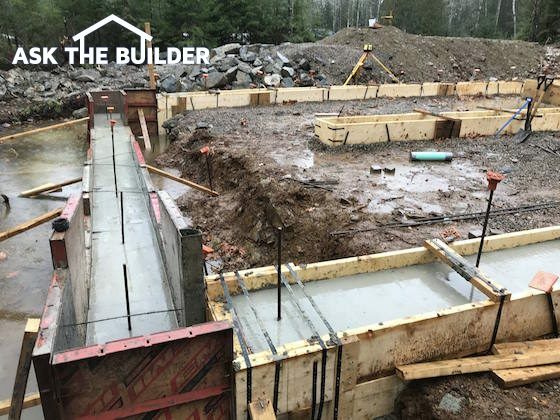 It's important to realize that the little bit of concrete will be a wise investment as you only get one chance to install the footing. CLICK HERE to get FREE & FAST bids from local footing and foundation contractors. What is the Best Depth for a Footing? Footing depth can be confused with the thickness of a footing. Eight inches is the minimum thickness for a footing. Ten inches is better and twelve inches is highly desirable. 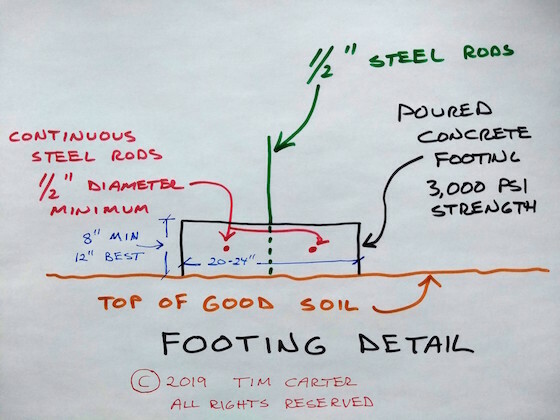 What Type of Steel Should be in the Footing? You should put two continuous steel rods in the footing. The diameter should be no less than 1/2 inch. When you get to the end of one rod, overlap the next rod onto the first one at least 16 inches. Use baling wire to tie the two pieces of steel together. The black lines are the footing. The red dots are the continuous steel rods. This is a cross section of a typical footing. Make sure you order the concrete at least 3,000 PSI. Questions? I can call you on the phone if you like. 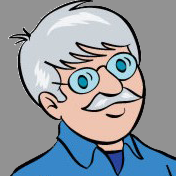 CLICK HERE to have me call you up. Your footing width and depth are very important. A footing supports all the weight of your building. It can't be replaced.